Cheapest Arduino in Town! Raya Edition event (read 2012 mission statement) started with Facebook announcement about Arduino Uno R3 SMD. All this come with free shipping. 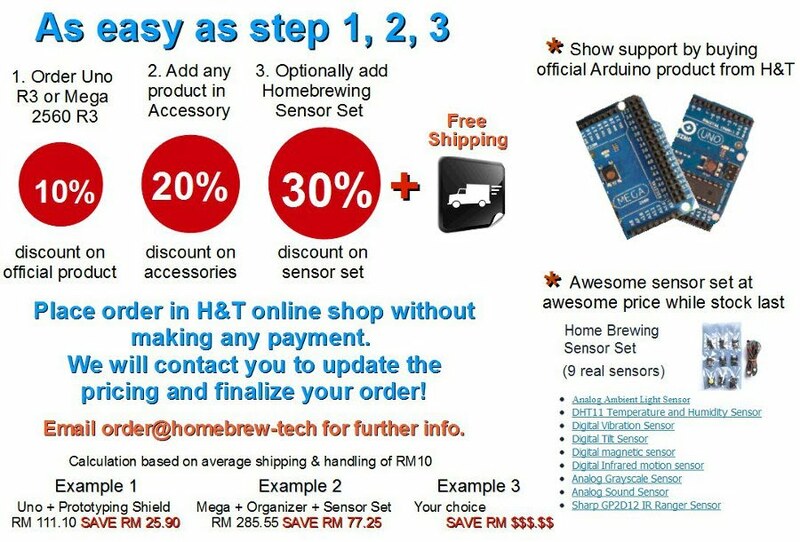 Just send an email to order@homebrew-tech.com before making any payment. We will reflect the free shipping through email and invoicing. Enjoy and Selamat Merdeka Raya!